Hi everyone. 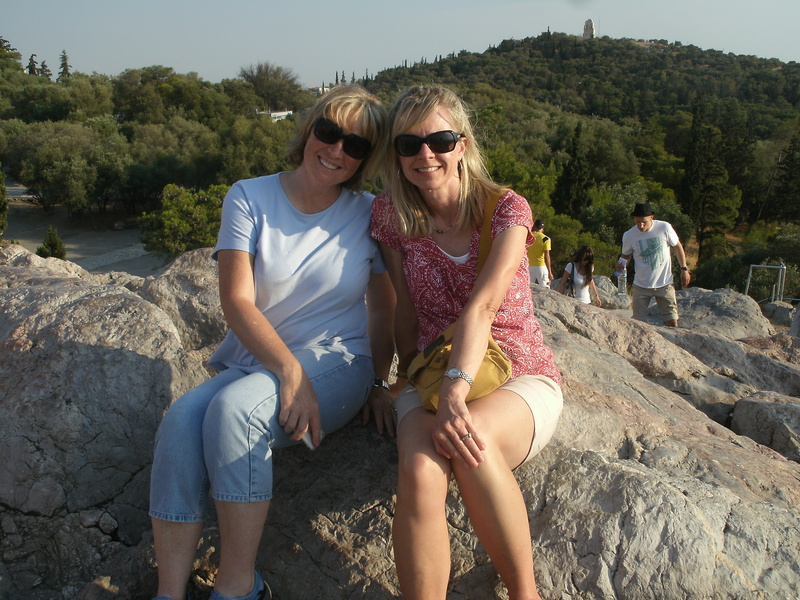 This is Jill Davis and I am “guest blogging” on Amy’s blog as we are together here in Greece for a couple of weeks. We are with 36 HUHA students who I must say are a great group! Some of you parents are checking this out and you should be proud. We are a pretty big group but everyone has been great about sticking together and dispelling the “ugly american” myth. Needless to say, we were all ready for bed last night. 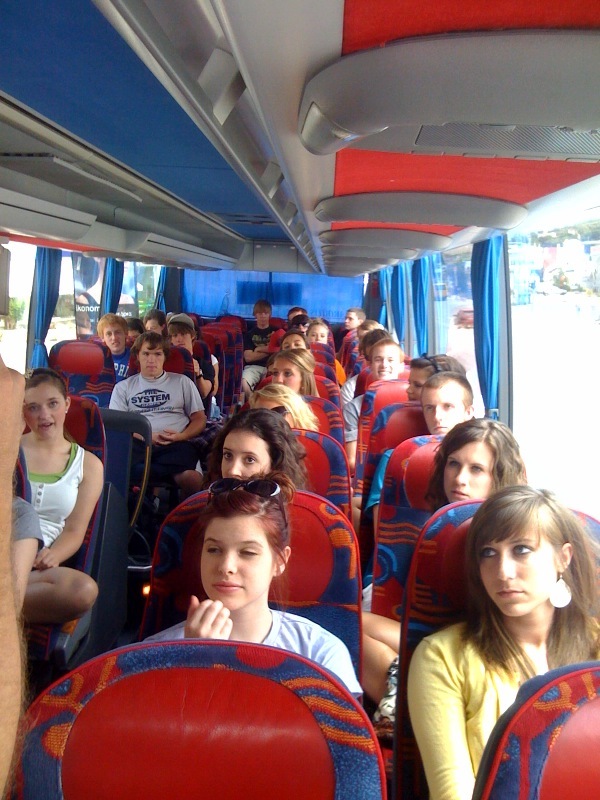 I slept great but Scott, Amy and a few of the students were wide awake at four this morning. They watched Greek tv to pass the time (a documentary about Elvis with Greek subtitles). Breakfast, chapel and class took all morning. 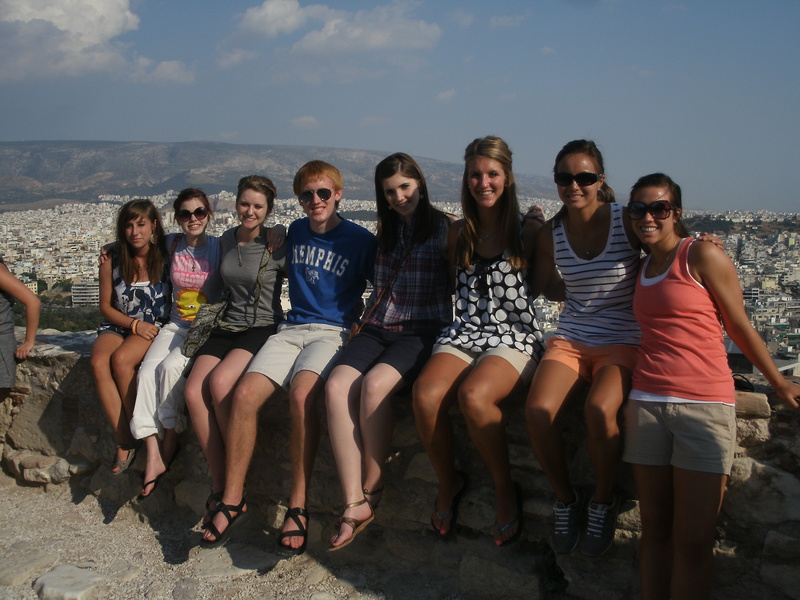 The students took a quiz on the Greek alphabet and can now read some of the billboards around here! We had a Greek version of poppyseed chicken for lunch. It was served with salad and chips. The students don’t seem to be eating the salads much but that is my favorite part. I never knew there were so many different Greek salads but we have a different one everyday. Fofi is our cook. She brings in fresh fruit in with her each morning and today she brought some delicious strawberries. They didn’t last long! 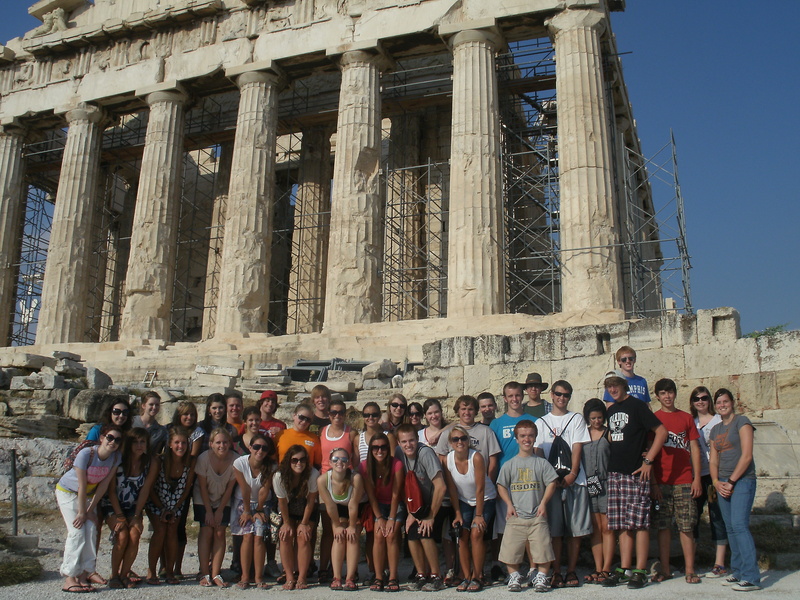 We left after lunch for Athens. It rained on the way but cleared by the time we wanted to get out of the bus. It is amazing how much history is in this place! We saw the parliament and the stadium for the first modern olympics. 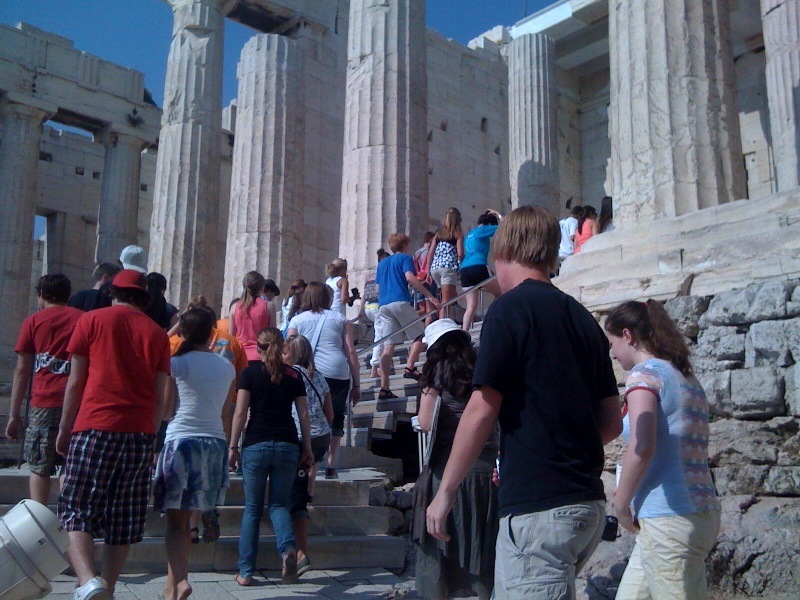 The sun was hot and humid by the time we began the stairs up to the Acropolis. The kids had fun taking lots of pictures. We will post a few. After seeing temples and hearing about all the different “gods” they had, we left the “touristy” part to climb Mars Hill, a very stark contrast from all the white marble and crowds. 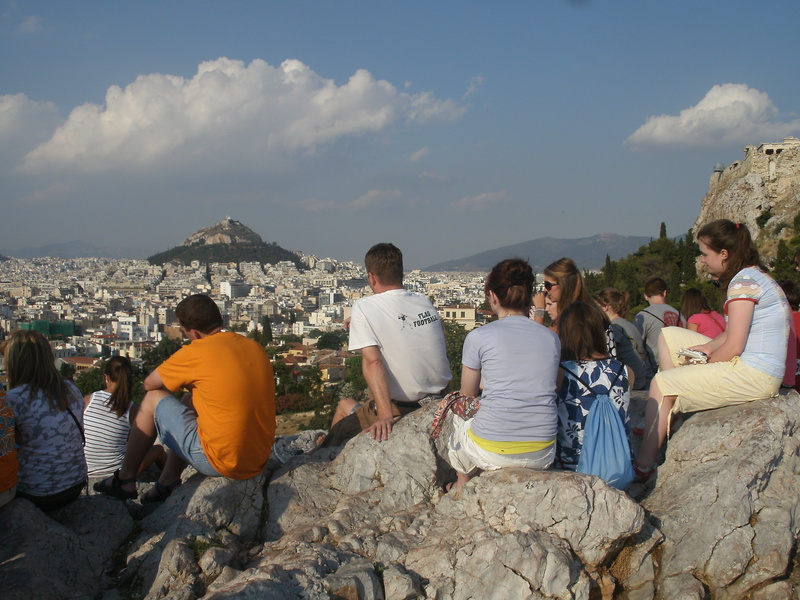 It is easy to feel something akin to what Paul must have felt as you look out over all the ruins. 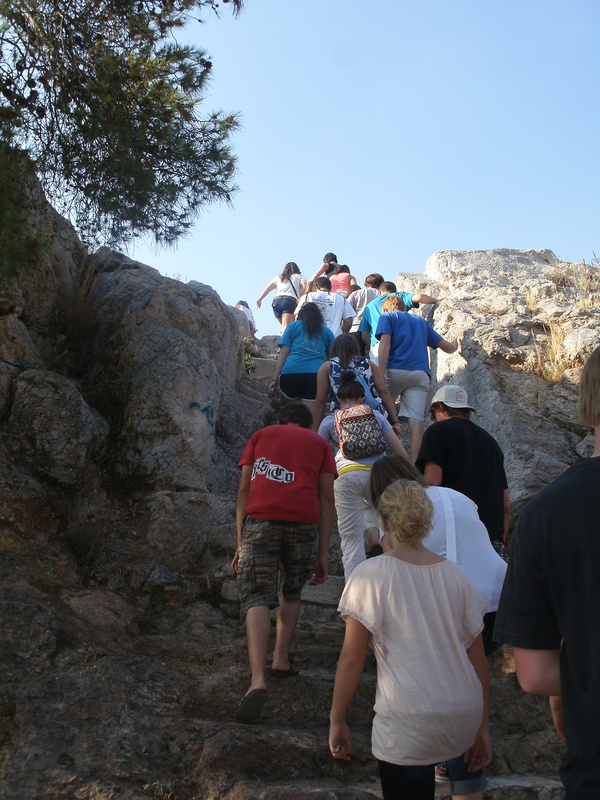 We had read Acts 17 this morning and discussed it on Mars Hill. 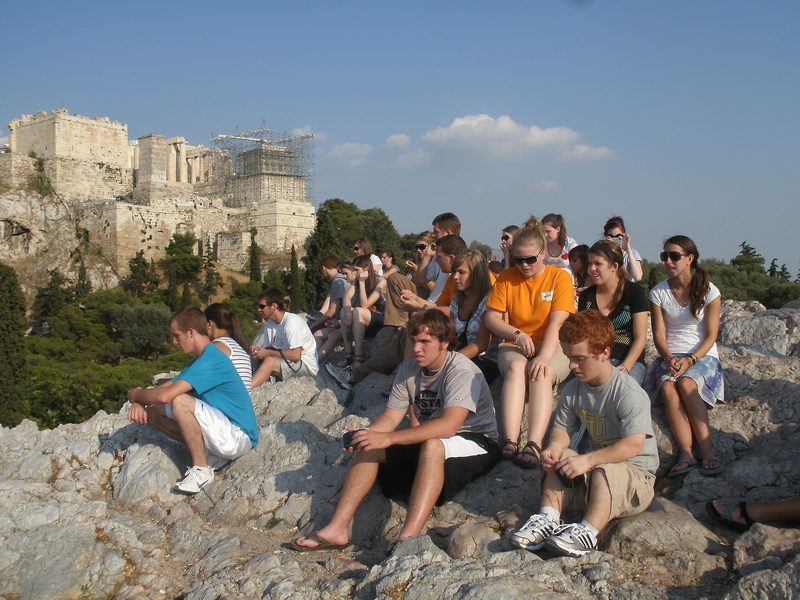 I love the picture of the students singing with the Acropolis in the background. Thank you so much for the pictures and the updates. It’s great to see the kids and experience a little bit of the trip! It’s fun to share this! OH My Goodness! Our family is enjoying this blog so much. Hope’s sister and I were jumping up and down in the kitchen last night when we first saw this! Her dad was grinning from ear to ear (he isn’t much for jumping up and down). Thank you so much for keeping us posted. I’m so glad you are enjoying the blog! I love the visual of you all jumping up and down…except for Dad! Have a great day! The airport delivered my luggage the next morning. I managed fine with my backpack and the care package they give you. We are enjoying an afternoon of freetime. I don’t see or hear anyone so they have all scattered around outside or are snoozing in their rooms. Thanks so much for the updates. It looks like a great trip. I love hearing all the details and seeing the pictures. Keep up the great work. Give Abby a hug from all of us and Callie, my neice, would like you to give Jacob a hug from her. Will distribute the hugs! Abby is awesome. I’m so glad I’m getting to know her. She is precious. Hi, Cindy! Thanks for your encouraging words. We are enjoying Kourtney! She is a sweet girl. Glad you like the blog. Thanks so much for these posts.I love to see all the pics. I am glad you like it! It’s been fun to write. We are thrilled with your blog and being able to tag along with you on your trip. I know Clare is having an incredible time. Thanks for keeping us updated and watching over all our kids! Sounds like y’all are having a great time over there. I never imagined the Artemis being that beautiful! We’re are getting ready to leave for Nana and Papa’s house tomorrow when Dad leaves to join you. Just wanted to say I love you! It is beautiful here! I hope that you can come and see it for yourself someday. It was good to talk to you today.